The town of Karakol is located 12 kilometers from the coast of Issyk-Kul, at the foot of the majestic Terksey-Alatoo gorge. 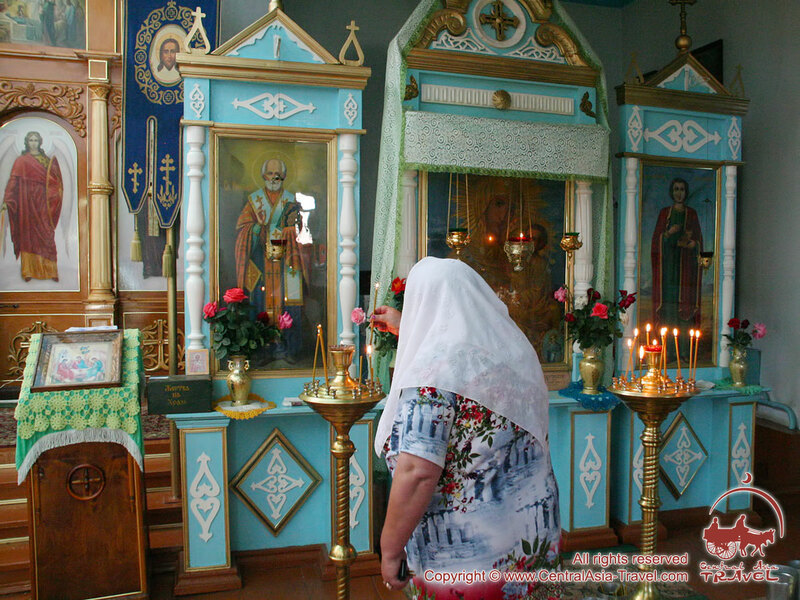 In the very center of the town is the Trinity Orthodox Church, which is one of its most beautiful sights and the only active Orthodox church in Karakol, Kyrgyzstan. The Trinity Orthodox Church was built in 1894-1895 on the site of an old brick church destroyed by an earthquake in 1876. 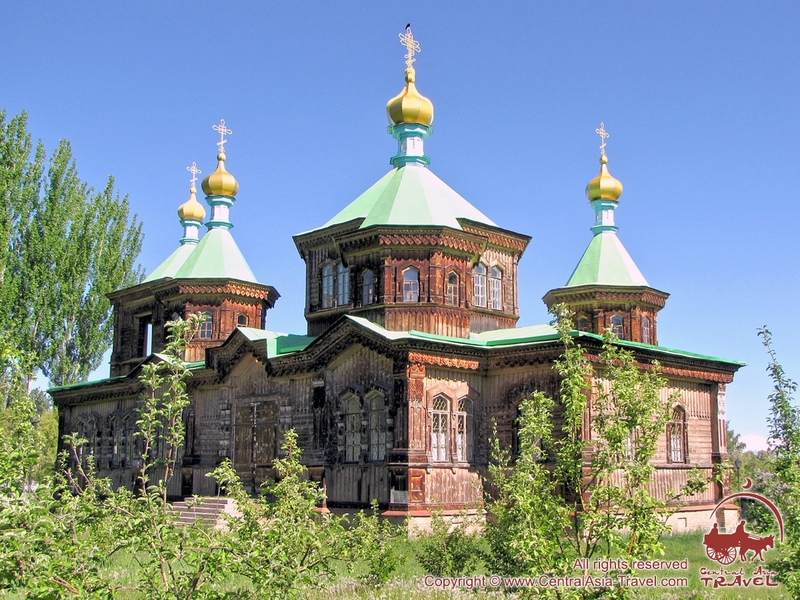 The architect and a group of builders from the city of Verniy (now Alma-Ata) worked on the construction of the shrine. Initially, the shape of the building was conceived as an equipotential cross, which would be crowned with five domes and a bell tower. However, as a result, the church acquired a rectangular-broken configuration, and its area was 35.5 x 18 meters. Five octagonal domes and a bell tower that can be reached from the inner wooden staircase top the shrine. 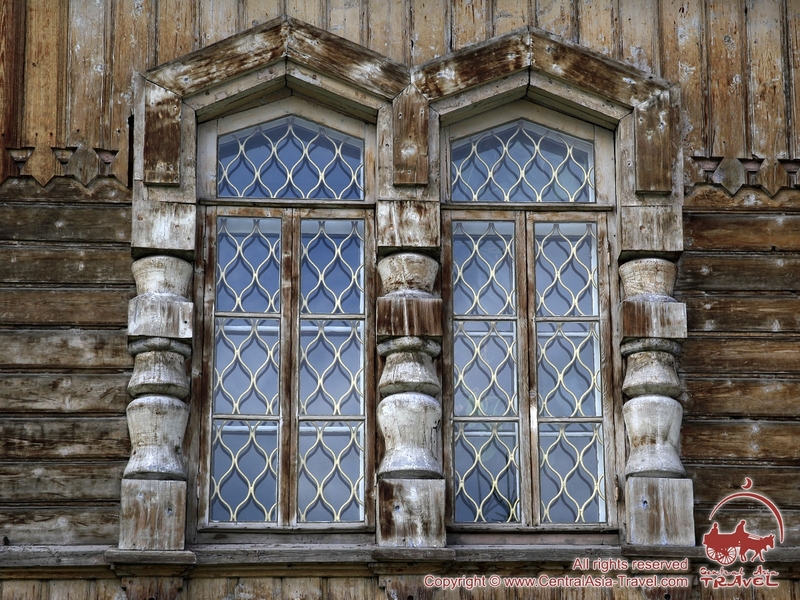 The walls of the building are lined with hewn logs, and the facade is decorated with carvings. 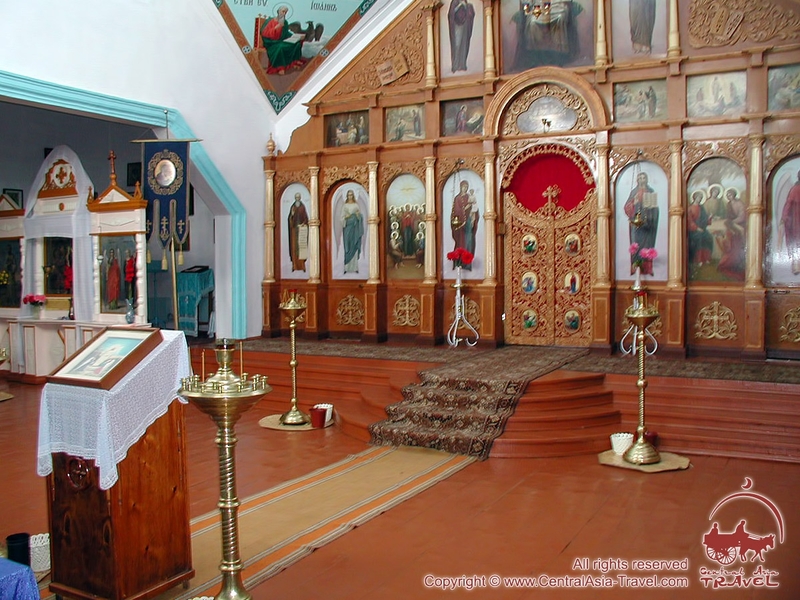 After the revolution of the 20-30s of the twentieth century, the church was closed, and property was looted. Later a children's sports school was opened in this building. During World War II, the shrine was returned to believers, who made repairs at their own expense. However, in the 60s of the building again passed to the sports school. In 1982, the site was abandoned and empty until 1986, when restoration work began here. 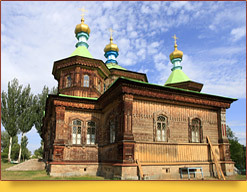 In 1993, the temple again became an Orthodox monastery and acquired its original magnificent appearance. 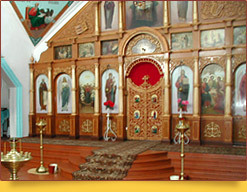 The walls of the Trinity Orthodox Church contain the relics of holy martyrs - Proma, Tarakh and Andronicus, as well as The Icon of the Virgin Mary of Tikhvin, limned about a century and a half ago in Athens and preserved by bravehearts who hid the miraculous icon from the exterminators of the early 20th century. Despite many hardships and trials, the Trinity Orthodox Church was preserved in the same state it was built more than a century ago. This unique architectural monument is a popular destination for today tourists.